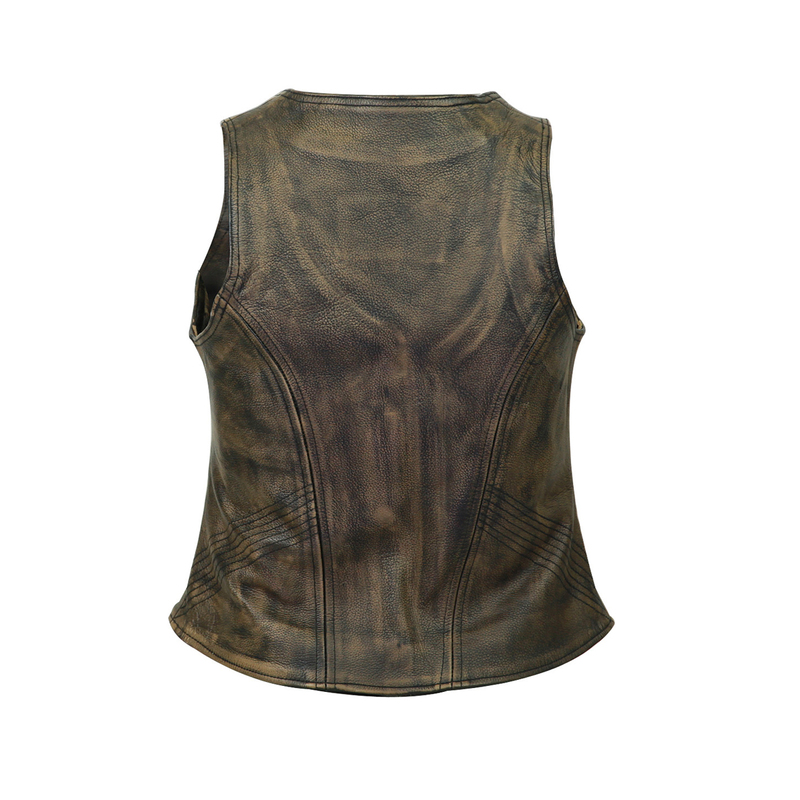 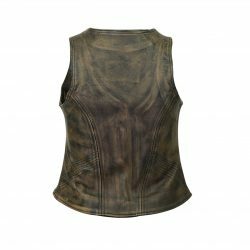 If you want a truly feminine look then try on the Women’s Distress Brown Leather Vest with plain sides. 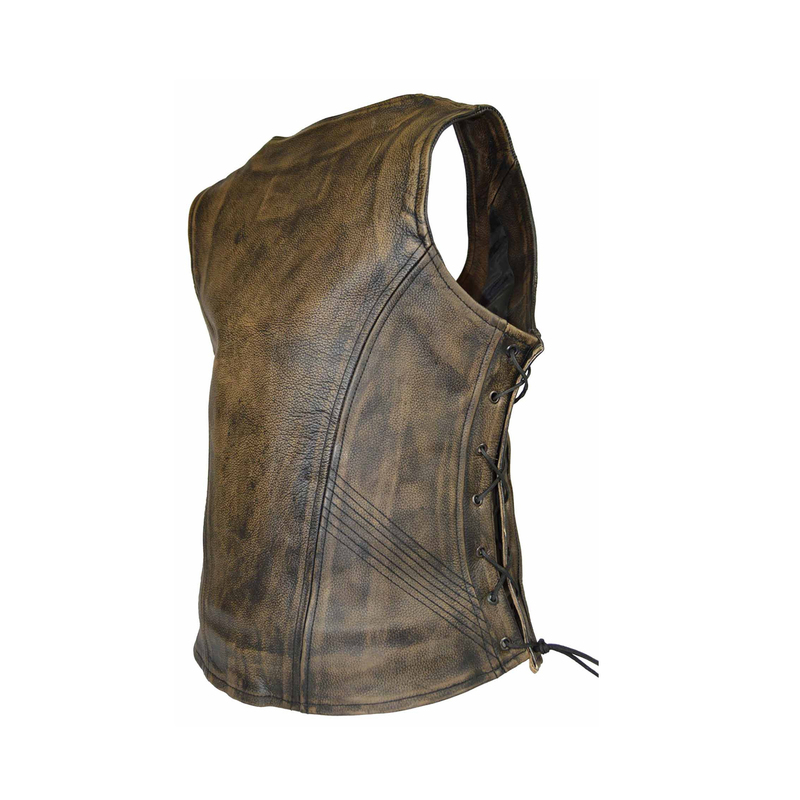 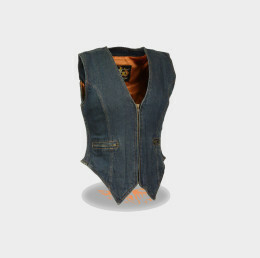 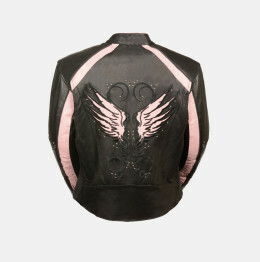 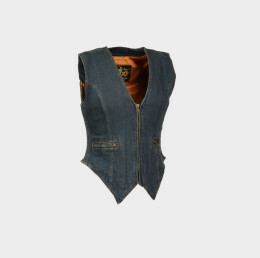 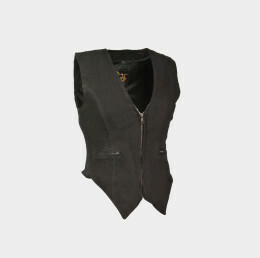 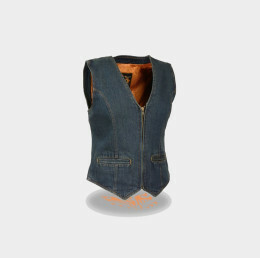 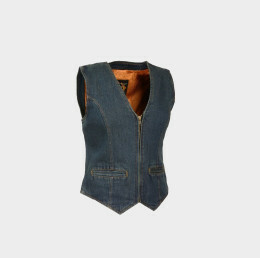 The vest is accented with black stitching which offsets the distressed brown leather beautifully. 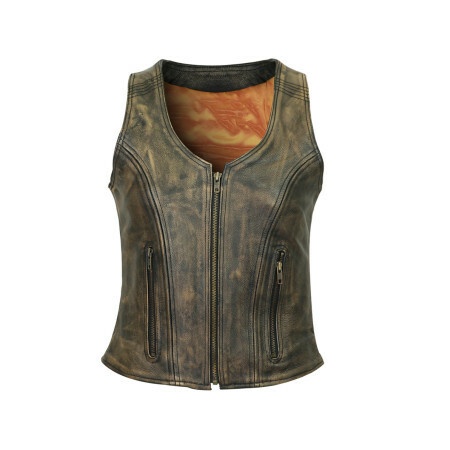 There’s plenty of room for those little knick-knacks that the ladies love to carry. Also, this vest comes equipped with gun pockets on both sides so she can step out well-protected and no one will be the wiser.